I’ll be glad when this is over…. more LP rules; this is from Chapter 7. 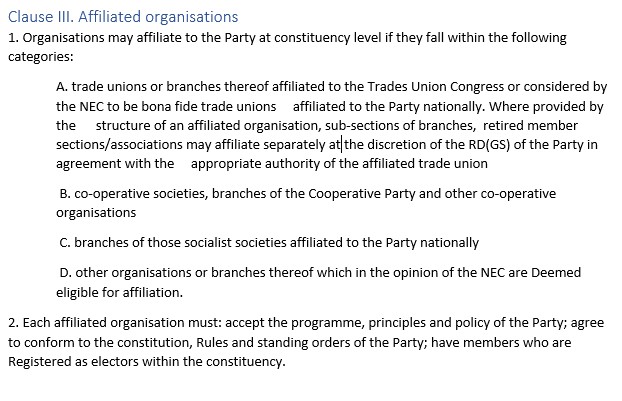 How does this not prohibit non-Trade Union national bodies from affiliating to CLPs? Rule C has them bang to rights.